Our approach to qualitative research starts with our client objectives. Everything we do is ad hoc and all of our studies are custom designed to meet client needs in the most effective and efficient manner. 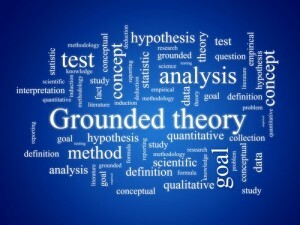 Whether testing hypotheses or using grounded theory to make sense of naturalistic observation, we design studies with analysis and output in mind. Our philosophy for study design is based on the belief that there is no perfect method. To get a comprehensive understanding, we believe that it is best to use a mix of methods or bricolage (e.g. combining mobile ethnography with online bulletin board discussion groups). Threads is flexible in providing full-service or a la carte services as needed. With full-service we handle all aspects of the study including study design (e.g. topic/discussion guides, screeners), recruiting participants, arranging facilities (virtual or traditional), managing data collection (e.g. interviewing, observation, immersion), data analysis, reporting and insight generation. For a la carte, Threads can take on any part of a study – using the best resources for the job. A majority of our studies are focused on client innovation initiatives including new product and packaging development, customer experience design, and marketing communications. Our qualitative research studies provide valuable insights that help clients understand what affects the emotional, physical and cultural motivations of their target market.